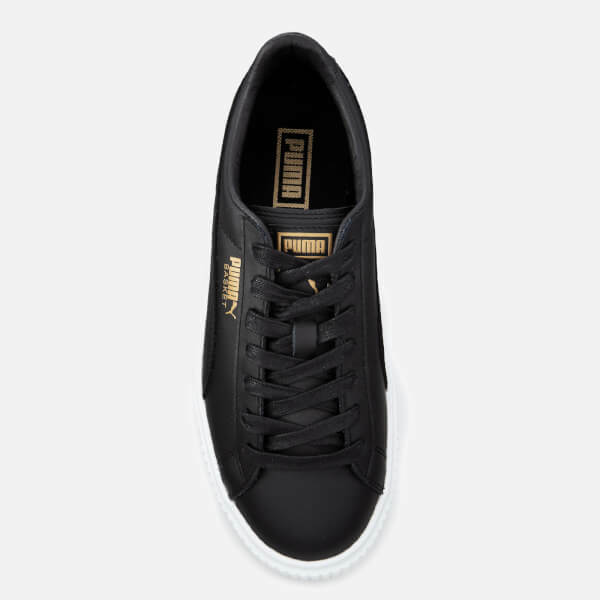 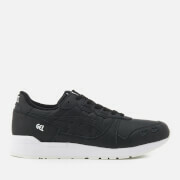 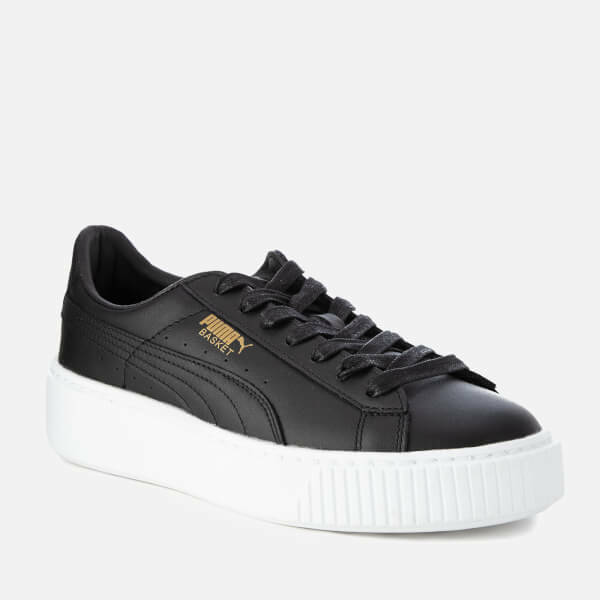 Women’s ‘Basket Platform’ black leather trainers from Puma. 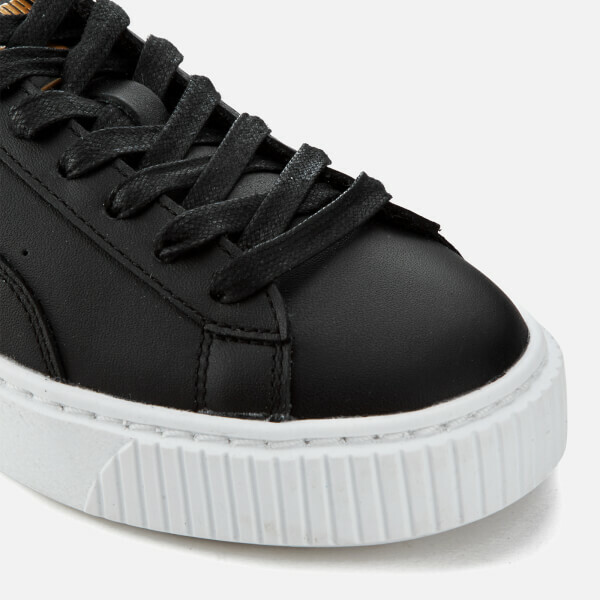 Constructed with premium leather uppers, the low top sneakers form a classic silhouette with a subtle ‘90s influence and grunge-inspired aesthetic. 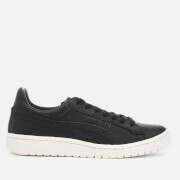 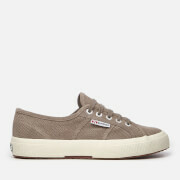 Featuring a padded collar, flat lace up fastening and rounded toe. 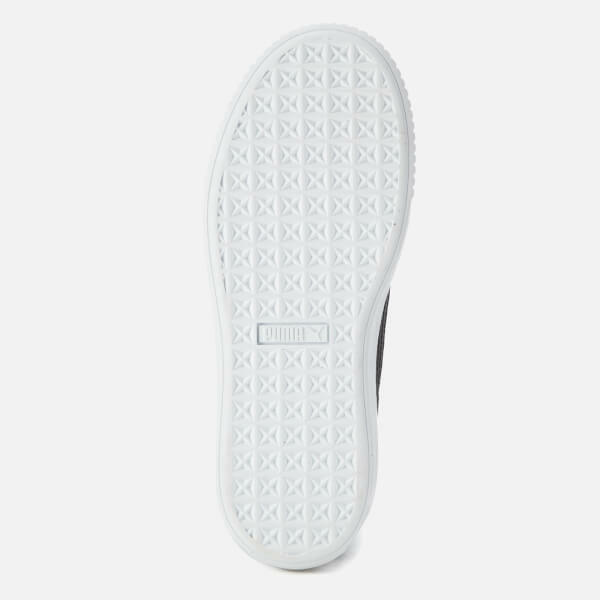 Set upon a chunky, white rubber platform sole and finished with iconic Puma branding to the side, heel and tongue.